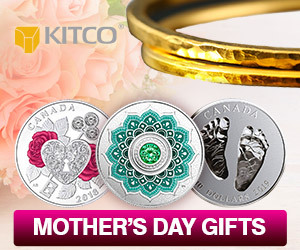 (Kitco News) - Gold prices continued to near the $1,300 an ounce level after momentum in the service sector slowed to five-month low in December, according to the latest data from the Institute of Supply Management (ISM). The Non-Manufacturing Purchasing Managers Index declined to a reading of 57.6% in December, down from November’s 60.7%. The 3.1 percentage-point drop took the markets by surprise as the consensus was for the index to come in at 59.6%. In an immediate reaction to the latest ISM Non-Manufacturing index, gold prices remained largely unchanged, keeping most of the previous gains and trading just below the $1,300 an ounce level. February Comex gold futures were last at $1,292.20, up 0.50% on the day. One of the more positive elements in the ISM report was the new orders sub-index, which rose to 62.7% from November’s 62.5%. Looking at other components, business activity sub-index declined to 59.9% from 65.2% registered in November. Also, the employment index fell to 56.3% from November’s reading of 58.4%. Economists keep a close eye on the latter number as a gauge into the employment situation in the country. Inflation pressures rose for the 34th consecutive month, with the price index coming in at 57.6% in December. After analyzing the December figures, economists said they were not too concerned about the economy just yet. “The decline in the ISM non-manufacturing index … could still trigger renewed fears about the US economy given that it came in below the consensus forecast at 59.0. Nevertheless, at 57.6, the non-manufacturing index is still at a level that has historically been consistent with GDP growth of close to 3% annualized so, for now at least, there are no signs of an imminent collapse in the economy,” said Capital Economics chief U.S. economist Paul Ashworth. “Overall, this is another release consistent with our long-held view that a shifting policy mix (fiscal stimulus fading, monetary policy getting tighter) would lead to a gradual slowdown in economic growth. A recession is possible, but probably not until very late this year or in early 2020,” Ashworth added.